Spectacular morning mist on a frozen Buttermere with the sun breaking from behind the distant fells of Haystacks and Fleetwith Pike. 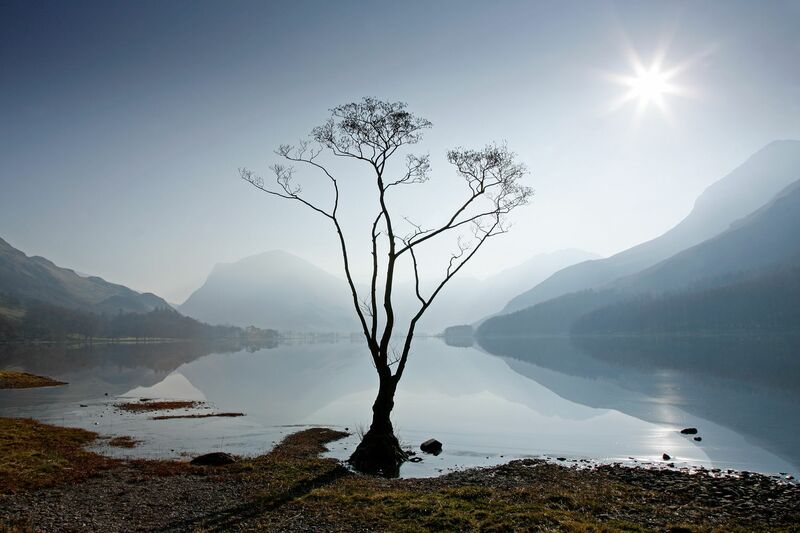 The image features the iconic Buttermere lone tree which stands on its northern shore. This is certainly the most photographed tree in the Lake District, but it is sadly losing its branches due to winter storms.